Enthusiast, taster, wine grower or owner, all are agreed on the use of the wordelegance for qualifying the red wines of Pessac-Léognan. Providing delicate contours, and whilst very close to the taste of the Médoc, giving a more supple texture, well-made, excellently maintained : des qualités qui induisent de facto la séduction..
A subtle mix of power, delicateness, and refinement. Accessible, giving a pleasurable and warm expression to the wine. Yes, but why ? Yes, but how ? Because they bring the imprint of a unique terroir. An exceptional marriage between soil and the vine, the expression of prize winning grape selections such as the Cabernet-Sauvignon and Merlot. The former develops wonderfully in the gravelly soils, expressing its powerful and complex personality, enrobing a dark cloak around red wines, a powerful structure with firm tannins, giving them an incomparable aptitude during ageing. The latter, the Merlot, offsets, in its combinations, the inclemency of the Cabernet Sauvignon thanks to its directness and its developed fruity flavour, thus bringing a degree of suppleness.. Deep and intense colour, bright purple. To the nose, aromas full of finesse with perfumes arising from crushed berries, pulp, mature fruits, as well as vanilla, grilled almonds and smoke. All these sensations are detected even when the wine is young. At the mature age, the bouquet becomes more amplified and concentrated in harmony. Fleshy on the pallet, thick, containing tannins which are generally very mature and concentrated. A little firm, occasionally austere in their youth, the wines soften with age: fruit tannins merge with oak, bringing openness and a smooth texture, a lot of boldness and spicy flavours. They leave a long lasting supple taste and a velvety richness. Around 18°. The serving and aeration of a young wine is best performed by pouring into a carafe. Don’t forget to carefully decant older wines as natural deposits may be present. All meat, game, foie gras and cheese. With older wines, avoid mixing with food containing spicy sauces, on the other hand, young wines can accommodate these very well. 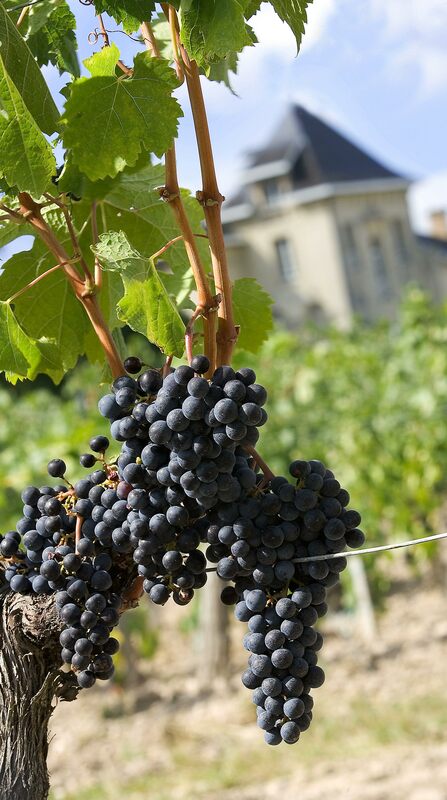 Faced with new tasting novelties privileging excesses of power and concentration, the red wines of Pessac-Léognan are signalled for their difference, allying tradition and modernity without giving in to convenient fashion trends.